Our poor ole gal, the blog dog, Keeley hasn't been feeling well the last couple of days. She just layed around and slept a lot and wasn't eating. This afternoon when I let her out and she was coming back to the porch to come in I noticed that her one eye was really swollen. Haven't got the slightest idea what happened, but called the Vet and took her over and he checked her out. Doesn't know if it is a bug bite, she bumped it or and infection. Everything else was okay, so they gave me meds for the next few days. She perked up tonight and ate roast beef for dinner, she's 13 and 1/2 so always scary when she isn't herself. 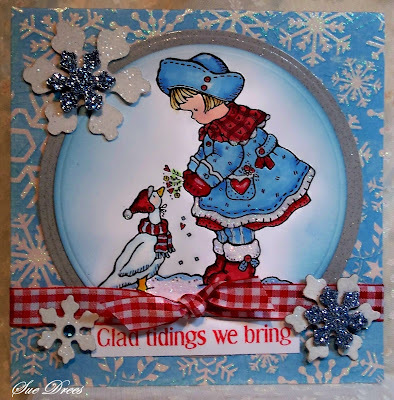 Today's card is for the challenge at Penny Black and Friends Saturday challenge # 176. The theme is Christmas/Silver/Snowflakes/Snow. I used this Slapstick Stamp from Penny Black called Kindness. Sue this card is just precious. Great coloring and I love the snowflakes. 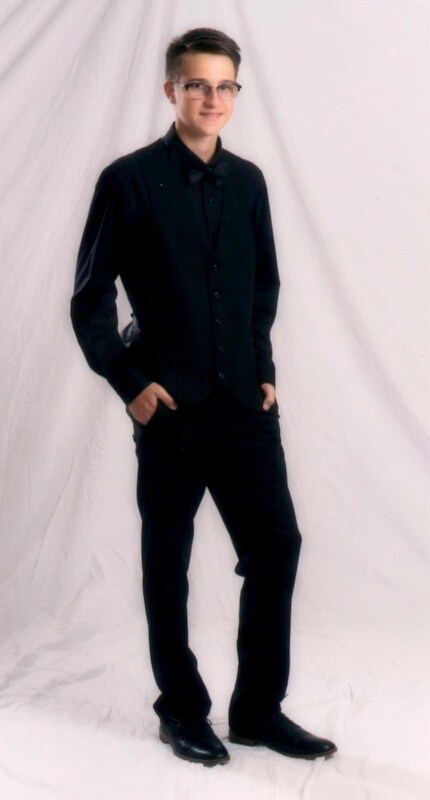 Oh I understand how you feel about Keeley. I have two Yorkies and a couple of months ago this same exact thing happened to my little Daisey. She is 8 and only weighs 5 lbs. They figured she was also bit by a bug seeing as how she walks under most of my plants and flowers. After a few days of the meds she was fine, but I was quite scared. They are sucha big part of our lives, huh? I will keep Keeley(who is beautiful, by the way) in my thoughts and prayers. Keep us informed, please. Yep, it's me going through blog withdrawal LOL! Had to pop in and see what was going on around here. 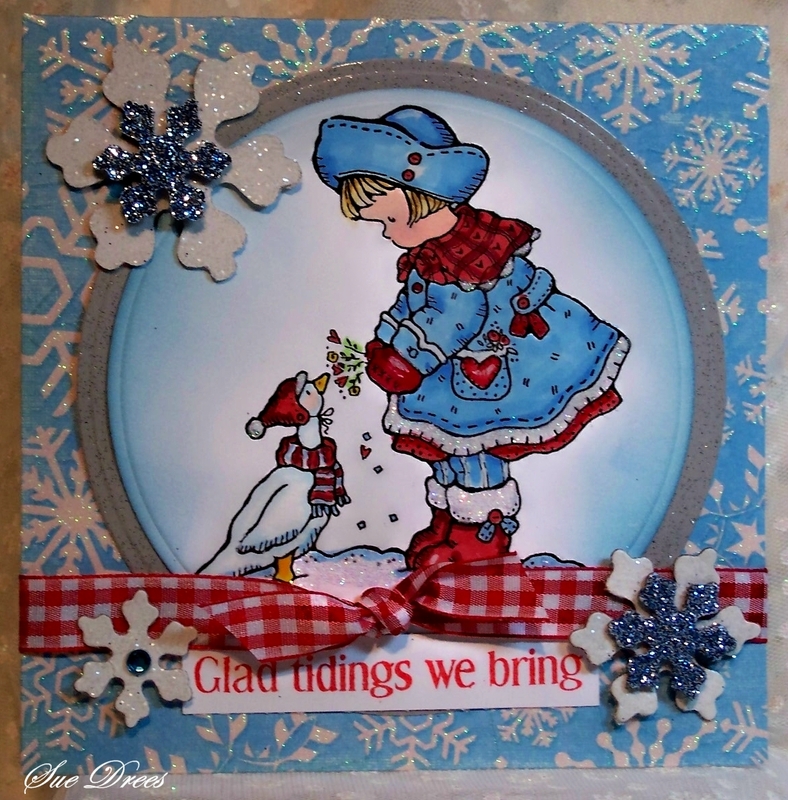 Love the color scheme and this darling PB Christmas card...going through stamping withdrawal...OH MY! Goreous card Sue and lovely colour combo. I just love that stamp. Really glad Keeley is feeling better. You do tend to panic when they are that age. 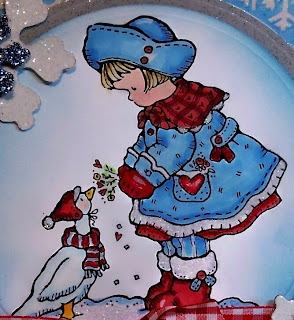 Beautiful shades of red and blue on this one Sue! Absolutely stunning, am loving the colour combination. The colours in this card are so vivid, amazing colouring, just a terrific card! !